Are you considering a change in Paid Time Off policies at your company? If so, you aren’t alone. Across the country, employers are rethinking PTO and vacation time. Some are even offering unlimited PTO. Whichever method you choose, you need to administer it accurately and efficiently. Use workforce management software to implement a new policy, manage it, and measure the results. How Does Unlimited PTO Work? First, let’s define traditional PTO. This is an arrangement where employees earn paid sick days, personal days, and vacation days. These days are accrued each year as the employee works their regular schedule. A newer variation is where PTO is not separated by type of leave. Each employee gets the same number of paid days away from work throughout the year. 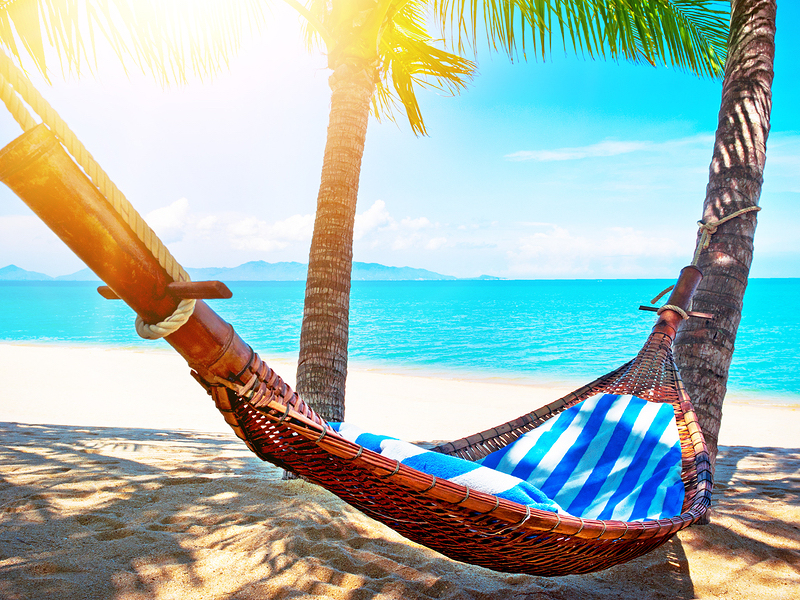 With PTO, the employee can take a day off whether they are sick in bed or headed to the beach. Does this sound like a surefire way to kill productivity with rampant absenteeism? There is compelling evidence that it isn’t. According to the U.S. Travel Association, employees don’t take enough vacation time—even at companies with unlimited PTO. They found that U.S. workers only use 77% of earned PTO. This results in an average of 5 unused vacation days each year per worker. So what happens when a company gives unlimited PTO? Employees take about the same number of vacation days. A few employers have seen a negligible increase. No one reported flagrant abuses. The crowdfunding company Kickstarter also ended a policy. Employees were confused about how much vacation time was appropriate. League of Legends developer Riot Games switched to unlimited PTO in 2013. The policy change didn’t result in employees taking more vacation time but it did change vacation patterns. Workers started taking more frequent one or two days off instead of week-long breaks. Illinois computer chip manufacturer Grid Connect has offered unlimited PTO for over 13 years. VP of Marketing Brittney Borowicz says the policy hasn’t been abused and credits it with helping to attract top talent. It also supports the company’s innovative employee-friendly culture. Along with unlimited vacation, Grid Connect provides massages, free catered lunches, and daily breaks for ping-pong matches. Employee scheduling and PTO go hand-in-hand. Workforce management software allows managers to optimize their scheduling in spite of absences. Employees are more likely to take vacations if they know all will be well at work while they are gone. Effective scheduling ensures that they don’t come back from vacation and find that nobody covered for them. Vacations are supposed to ease stress—not create more stress. When creating a policy, make sure it’s compliant with any applicable laws. There are currently no Federal laws that mandate paid vacation time for small businesses. If you are working on a government contract, however, you might be subject to a federal law regarding paid time off. The two provisions are the McNamara O’Hara Service Contract and the Davis-Bacon and Related Acts. There are also some states that regulate PTO. For example, some require employers to compensate workers for unused accruals when leaving the company. Workforce management software has your back when it comes to PTO compliance. You customize the compliance settings for the laws you are subject to. Keep in mind that PTO is an important consideration for job seekers. But since most employees don’t take all the PTO they earn, don’t be afraid make your policies more generous. Business owners should encourage employees to take periodic vacations. Workers who use their vacation time are happier, more engaged, and more loyal to their employer. Some companies with unlimited PTO have adopted a Results Oriented Workplace Environment (ROWE). With a ROWE, employees take ownership of their work schedule. They are responsible for completing assigned projects and achieving performance targets. Regardless of the number of hours they work or the schedule they follow. The number of ROWE companies is still relatively small, but the concept is gaining traction. Workforce management software helps businesses manage PTO regardless of the type of policy. It tracks traditional accruals-based PTO automatically. Workers can check it any time with the employee self-service portal and mobile app. Automated accruals tracking ensures accurate paychecks and policy adherence. It helps managers schedule effectively so absences don’t inhibit service levels or productivity. Workforce management software also administers unlimited PTO. Employees request vacation time through the online portal. Supervisors can see all requests in the manager dashboard. When they approve a vacation request, it will be logged into the employee scheduling system. The manager doesn’t need to remember everyone’s vacation dates. The system will alert them to conflicts when they create the schedule. SwipeClock’s WorkforceHUB Human Resources portal helps small business owners manage PTO (and everything else).